Mind. Body. Soul. It all begins here. 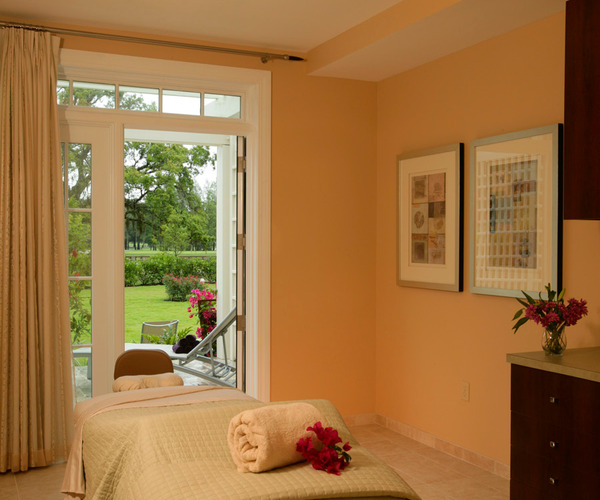 At Salamander® Spa, Tampa Bay, you’ll soon discover there is an overwhelming commitment to helping our guests achieve the ultimate version of their best selves. It’s no wonder we’ve managed to attract some of Tampa’s the most respected—and soughtafter— spa therapists in the world to our family. Their passion and talent is the foundation of our existence. We’re absolutely certain that your experience with us will take you on a rewarding journey of unforgettable transformation—and bliss. Located at Innisbrook Golf & Spa Resort, on a 900-wooded-acre wellness playground in Palm Harbor, Florida, the family friendly property resides 10 minutes from the award-winning Caledesi Island and Honeymoon Island State Park. On site, Salamander Spa, offers a peaceful sanctuary for indulging in native treatments amidst the resort’s sublime nature trails, tree-lined walkways, and protected wetland. Six swimming pools, including the Loch Ness Monster Pool (a hit with Innisbrook’s younger crowd), create either a dynamic or tranquil space at the resort, depending on the pool picked. The 18,000-square-foot Indaba Spa pays close attention to nature, drawing inspiration for its design, services, and overall theme from the resort’s 900 acres of trails and golf courses. 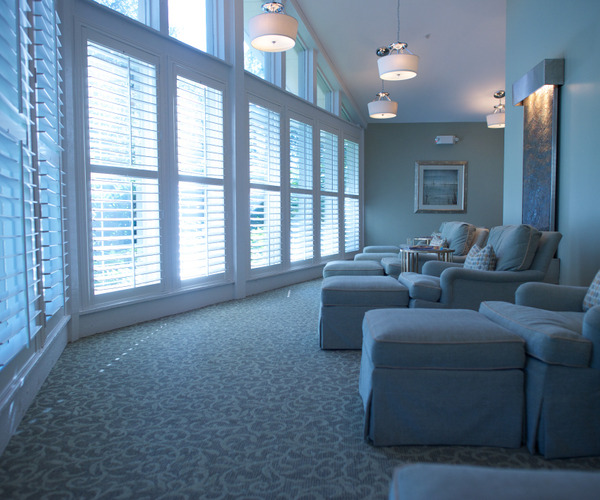 Treatment rooms total 12, and the facility embraces its environment’s rich hues; greens and earth tones accent warm wood elements. Following a meditative walk through the labyrinth, spa guests can rejuvenate in the relaxation courtyard, steam rooms, and whirlpool baths. Reflective moments can also take place during one of the spa’s many services, including Indaba’s Signature Ritual. This indigenous experience, which begins with a scalp massage, followed by a full-body massage and an exfoliating foot scrub with heated towels, uses a unique blend of African oils, scrubs, and creams like argan and acacia. Other treatments—massage, body, skin-care, and salon services—utilize Bella Lucce, Eminence, and Dr. Dennis Gross products. Next to Indaba Spa, workout fans will find the 4,000-square-foot fitness center, offering classes in cardio blast, Zumba, Pilates, yoga, and body sculpt. Guests who enjoy getting fit in the great outdoors will appreciate the hiking trails, the four on-site championship golf courses, and the many sports games such as basketball, racquetball, volleyball, and biking. Additional athletic pursuits—fishing, snorkeling, and scuba diving excursions on Lake Innisbrook or the Gulf of Mexico—can be arranged via the concierge. Innisbrook also boasts six swimming pools and 11 tennis courts (seven of them lighted) on its impressive expanse of land. Children of all ages are catered to with Camp Nessie, open daily, as well as junior tennis and golf camps. The resort spotlights 100,000 square feet of indoor and outdoor event space for social and business functions. The 620-room Innisbrook accommodates everyone from solo visitors to large families traveling together. Lodging options come in a variety of sizes, from the 225-square-foot deluxe guest room to the 1,400-square-foot two-bedroom suite. Comfortably modern interiors feature WiFi and high-speed Internet access, flat-screen TVs, and writing desks. Suites have full kitchens or kitchenettes. Of the five dining options, Packard’s Steakhouse—spotlighting local seafood and prime cuts of beef—is the most refined, though all provide a casual ambience for a business lunch or family dinner. The café-like Market Salamander Grill serves seasonal American cuisine, while Loch Ness Grille, located poolside, is tropical in style and offers salads and sandwiches. Turnberry Pub, overlooking the putting green, highlights Irish fare. Osprey Bar, with its seven flat-screen TVs, American dishes, and outdoor fire pits, is a good place to catch a sports game or engage in lively conversation.